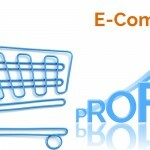 E-commerce in India is struggling to gain profits because of high discounts, promotions and investment on employees. According to sources, more than Rs.10,000 Crores of loss were reported by India Top 20 e- commerce companies that are into retail, furniture, travel & food orders, which is whooping 138% more losses reported in last Financial year. The Top 3 India e-commerce companies Amazon India, Filpkart & Paytm contributed 70% of losses. Amazon India has burnt more than 2000 Crores on Ads And Paytm & Filpkart put together has spent almost the same amount for gaining the market share, specially at the time of Indian Festive season. Such massive cash burn by these e- commerce companies are only to gain the market share. 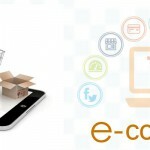 It is estimated that there are around 35 million buyers are shopping online and this is bound to increase by multi-fold in next 5 years as the convenience of having goods delivered to their doorsteps, these cash rich or cashless E-commerce companies are investing in Ads / Promotions and freebies with a simple math that if 100 million buyers buying one product each from their site with a margin 10/- per Order will clear all there loss in one GO.